There are moments where the language sings. As when one woman addresses another’s passion for a man by observing: ‘I can see how you drink up his blood with your eyes’. And you would expect as much in a work by Lorca, the poet of duende. Kathryn Hunter gives a strong performance as the proud matriarch of a dissolute family. Alison Halstead is her punchy, bloody-minded servant. The play was most effective when they were on stage and engaged in combative conversations. One problem with the play is that a lot of the action (too much, in my view) takes place off stage, though whether this is due to Lorca’s craft or this particular version – an overreliance on audio description, say – I am unsure at the time of writing. Anyway, in theatre I don’t really want to be told what has happened. I want to see it. Otherwise, you might as well have a narrator on stage, as in children’s plays. And of course many forms of theatre have no need for language at all. 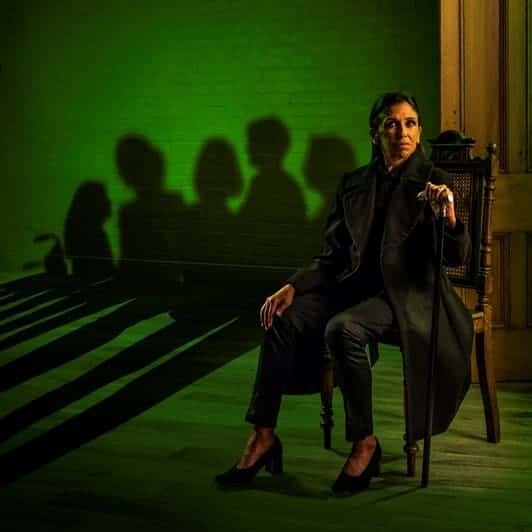 The House of Bernarda Alba is showing at the Royal Exchange until 25 February, further details can be found here. 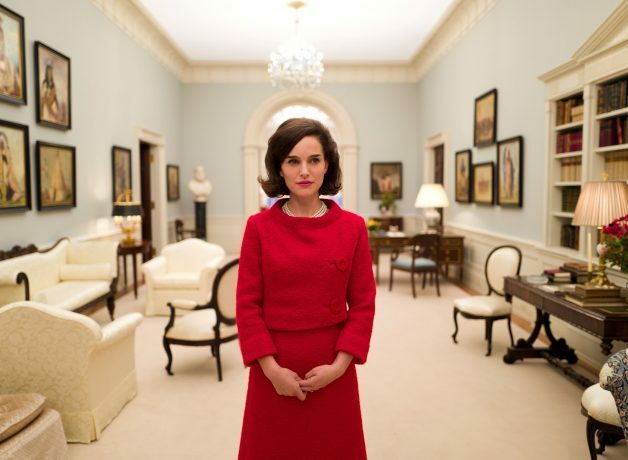 A film portraying Jackie Kennedy as widow. She is in confessional mode, baring her soul to a journalist and then a priest. Her grief is immense yet she orchestrates JFK’s funeral, thereby doing more than anyone to create the image of the president who died young, too young. Personally, I like politicians who are realists: Johnson got more done and did more good (pace Robert A Caro’s magisterial biography) than JFK, albeit he had more time. Where you have idealists you will find a pretty facade and an adroit publicity machine and very little substance. And consider: The Bay of Pigs, an escalation of the Vietnam war (perhaps the cause of the assassination), that was all on JFK’s watch. Natalie Portman is very good here; she makes the film. At the start, I warmed to it, naturally. There were familiar characters in a familiar environment dealing with familiar predicaments; and a familiar cast: Ewan McGregor, Ewen Bremner, Jonny Lee Miller and Robert Carlyle. Then it turned from cosy and comfortable to tired and laboured: an easy switch to make, I think. There were references to the earlier, ground-breaking film and they made the present film seem derivative – as it is, in truth – and highlighted its lack of imagination and verve. I mean, the Rolling Stones’ early stuff was cool but dad rock (or even granddad rock) is embarrassing. Edinburgh is a pretty city, yes, but show too much of it, as here, and you have a travelogue. There are set pieces adroitly jigsawed together but the film is too slack and slow paced to deliver a compelling narrative. The best part was… and there you have got me. Actually, Anjela Nedyalkova, a Bulgarian actress. was an attractive presence. That’s all. Napoleon: like Michaelangelo, Galileo, Leonardo – all Renaissance figures, curiously enough – we know him by his first name. Abel Gance’s film, masterfully reconstructed by Kevin Brownlow and accompanied by Carl Davis’s fine score (where Davis references La Marseillaise and Ludwig’s – sorry, I mean Beethoven’s – Eroica symphony) was a valuable experience, well worth seven hours of anyone’s life. There is Napoleon looking down upon the raging ocean, like a figure in a Caspar David Friedrich painting. Now we see him routing the English at Toulon. Here is a ball for victims of the Terror, where Napoleon meets Josephine. Early on, Napoleon is identified with an eagle (he has one as a pet when a child) and we come to see him as a hooded, cloaked onlooker: a patient predator. The film ends with Napoleon marching triumphantly into Italy, having expressed an ambition to export the Revolution beyond France’s borders and so free the oppressed peoples of Europe. What a hero! This sort of rhetoric indicates perhaps a sympathy with the Bolshevik regime in Russia or the internationalist ideals of the League of Nations, both of which had come into being a few years before. Then again, Gance supported Petain in the ‘40s, so perhaps he had a thing for strong leaders. And, indeed, it is as false and self serving as Hitler using concern for the Sudetendeutsche to invade Czechoslovakia or (in our own day) Obama using the United Nation’s Responsibility to Protect doctrine to intervene in Libya and topple Gadhafi. And what a bright idea that was: let’s create a failed state and see how many refugees die drowning trying to reach Europe. Napoleon may have been a general of genius but at root he was an opportunist tyrant. Gance’s film, while uncritical of the myth – indeed, he aims to sustain it – has enough going for it to merit an attentive viewing. And the best actor in it is… Gance himself. He plays Saint Just as a cold aethete indifferent to human suffering. It takes a lot of Liszt to make a concert, as Alan Ladd almost said to Veronica Lake in The Blue Dahlia (screenplay by Raymond Chandler). 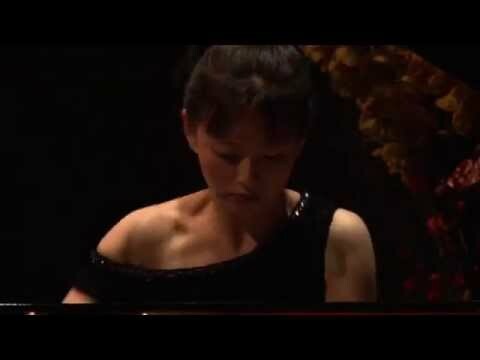 Here Ran Feng played five works for piano by Liszt and they were all, in a sense, unloved children: little rated by public or critics or, it seems, colleagues. You read in the programme, for example, that Brahms fell asleep while listening to the last of these works, the Sonata in B minor. The idea of focusing a concert on a great composer’s lesser known or appreciated works is an intriguing one – and I mean, it is Liszt, so how bad can it be? – and thankfully this turned out to be a very worthwhile experience. The best of the music had a thunderous quality together with a kind of melodic gold at its core. Ran Feng performed excellently throughout, industrious and attentive to the demands of the score. I enjoyed the concert very much and have been inspired to learn more about Liszt. This book is at once a provocative collection of drawings with captions and text in English (where Aldo Giannotti’s wry, playful humour owes a small debt, perhaps, to David Shrigley) and an abrasive encounter with the Albertina, once a Habsburg palace and now one of Vienna’s premiere art galleries. There have been many top-notch exhibitions at the Albertina in recent years, some of which I have been privileged to see. Among the most memorable I would number an exhibition of Lee Miller’s photographs, one of Anselm Kiefer woodcuts and, in 2014, an exhibition devoted to Blow-Up, Michelangelo Antonioni’s classic film of swinging London… and the list could certainly go on. For me, as a visitor, the Albertina has provided cultural stimulation aplenty, an occasion for rich reflection, a surfeit of high-level aesthetic experience, and much pleasure. But for other actors involved with the art gallery, say curators or artists or the uniformed staff who do the really important and necessary work, such as stopping tourists taking selfies by the painting of Toulous-Lautrec’s magnificent horse – well, they likely view the Albertina in a different way. And that, in essence, is what Giannotti’s book is about, beyond the dollops of wry humour the imaginative machinations evident in the drawings. It is a study of how people perceive and make use of the same social space (here the Albertina in particular) in different ways. We live in overlapping worlds, we map interfaces. Reality is consensual only up to a point, then it has to be negotiated. The most interesting drawings are those where Giannotti attempts to make us see the propensity to action (our various dispositions) in the building itself. Elsewhere he looks at what the Albertina once was and what it might be. He strips back the facade and exposes the working underneath. And he does all this with a sweet, questioning, provocative charm. Aldo Giannotti’s website is here. The publisher’s description of Spatial Dispositions can be read here.